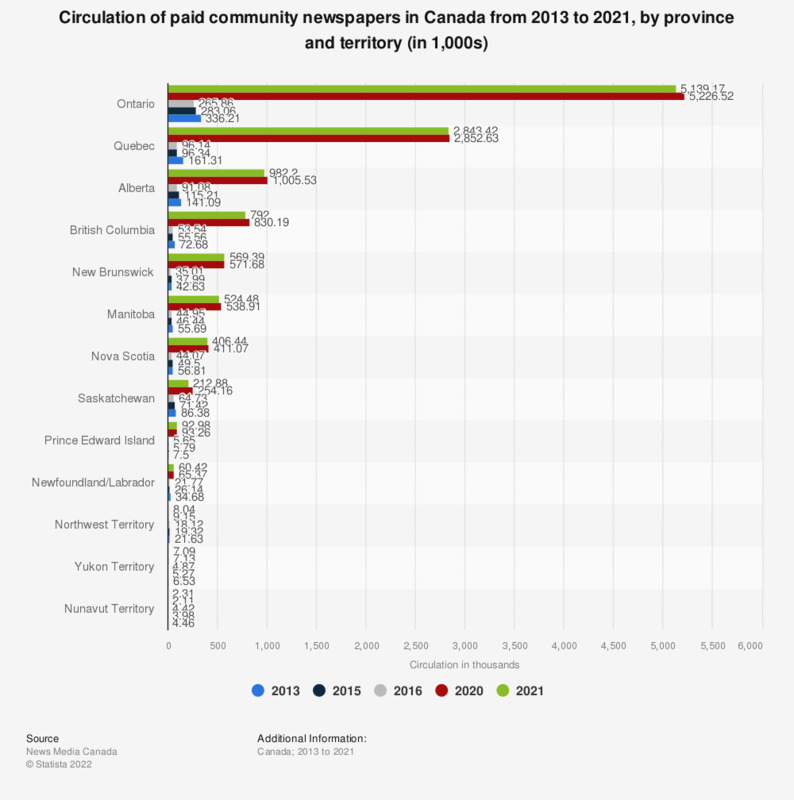 This statistic shows the circulation of paid community newspapers in Canada from 2013 to 2016, by province and territory. During the last reported period, Alberta's paid community newspapers had a circulation of approximately 91 thousand. How trustworthy do you rate The Economist?